Dudu themes has been purchased 53, rating: 4/5 based on 3 reviews. 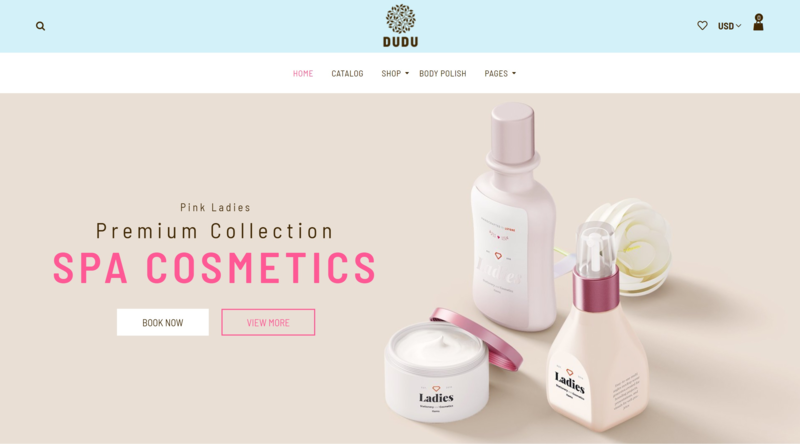 DUDU Cosmetics - Sectioned Shopify Cosmetics Theme, which is designed by the Designthemes team, is a well-fitted theme for cosmetic e-commerce websites. In details, this is an attractive theme that is packed with ajax elements and various up-to-date features which can make your expected cosmetics store look definitely stunning. We provide you with a 100% responsive design with modern devices together with 3 different homepages and many new professionally designed elements. There are 5 premade styles of Mega Menu for you to choose from. Furthermore, Dudu can support various currencies over the world with smart and convenient drag & drop homepage blocks. We are pleased to serve you with all of our best!